While many Jewish leaders have been bemoaning the results of the 200-plus page report from the Pew Research Center about the current state of Jewish Americans, I have been trying to extract some positive from the numbers. Of course, like any study, the numbers don't tell the whole story. Anecdotal information is a much better guide to measure the health of the Jewish community. Just looking at the numbers and the graphs of the recently released Pew Research study as it relates to intermarriage is alarming. However, the statistics really aren't too surprising when put in the context of the ever-changing community in which we live. What is noteworthy, however, is that on the intermarriage grid within the study from 1999 going forward, the intermarriage rate actually tapered off. Iit's interesting how that's right around the time when JDate.com really caught on among Jewish singles. I'm a firm believer that we can only do so much to counter the rising tide of intermarriage. Like all humans I have only 24 hours in a day and so I try to maximize my time and see some positive returns. That is why, as a rabbi, I use JDate to identify singles in my community who might be compatible with each other. Sure, the technology itself does this on JDate, but it's sometimes nice to have a friendly rabbi set you up with someone in addition to a computer crunching compatibility numbers. JDate hasn't solved the intermarriage 'crisis,' but it just might be the driving force in keeping those numbers steady during the past decade and a half. As many as 70% of the weddings I officiate involve couples who found each other on JDate. And I'm not the only rabbi who reports such high statistics. I've heard the negatives of JDate too. "They allow non-Jews to join." 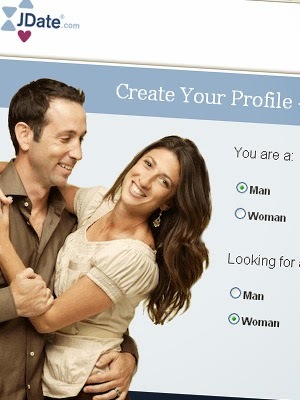 According to JDate, approximately 2% of users are non-Jews. However, even when someone attends a Jewish Federation singles event or travels to Israel on a singles mission there might be non-Jews in attendance (or Jews who are patrilineally Jewish and that wouldn't suffice for many). 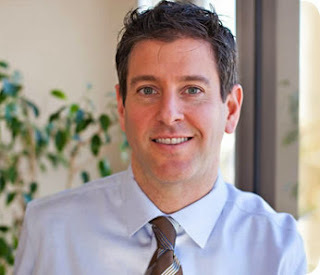 I had a chance to interview Greg Liberman, the CEO of Spark Network which owns and operates JDate. In addition to telling me about famous celebs like Paul Rudd and Judd Apatow who met their spouses on JDate, he kvelled about the over 100,000 users who said they met their spouse on JDate (as well as the many others who just never reported where they met their beloved). “Take a look around and see how many people JDate has affected,” Liberman told me. “Twice as many people used online dating in 2010 vs. 2003. The huge impact is that 5 out of 9 Jews used online dating and 76% used JDate. Those are the stats. Anecdotally, JDate has had a profound effect in combatting a rise in the intermarriage rate. JDate has had an effect on the intermarriage rate in North America because it’s used technology to help compatible Jews meet each other. It doesn't matter if two well-matched individuals live across the ocean from each other or in neighboring Manhattan apartments. It’s entirely possible that their paths will never cross. And that’s where the magic of JDate comes in. How many of those couples might have married out of the Jewish faith were JDate not around to link them up. JDate doesn’t create the chemistry; it just helps couples recognize the chemistry that’s already there. The Pew study’s conclusions must be taken with a grain of salt. We shouldn't go into crisis mode just yet because we need to make better sense of where the Jewish community is today and where we're headed. But if the intermarriage numbers are going to tell us anything it’s that there was some force that kept them steady for the past decade and a half when most sociologists were prognosticating a further rise in the rate. To my mind, JDate must be able to take some credit in that. Thank you very much for the reference to this research. I am specifically doing research on J date marketing and this was extremely helpful.